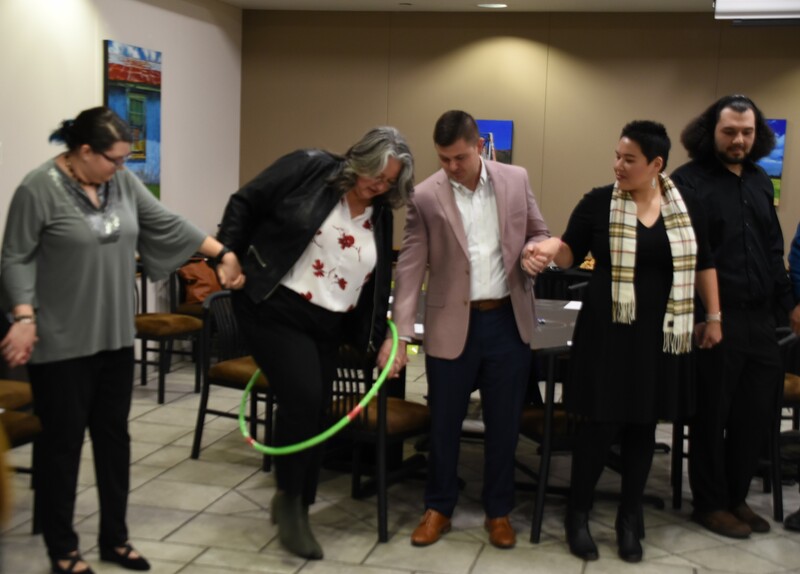 MISSION STATEMENT – Leadership Native Oklahoma (LNO) is committed to improving Oklahomas future for our communities, native and non-native alike, by encouraging, installing, and facilitating a support network of dynamic leaders with a tribal perspective in mind. 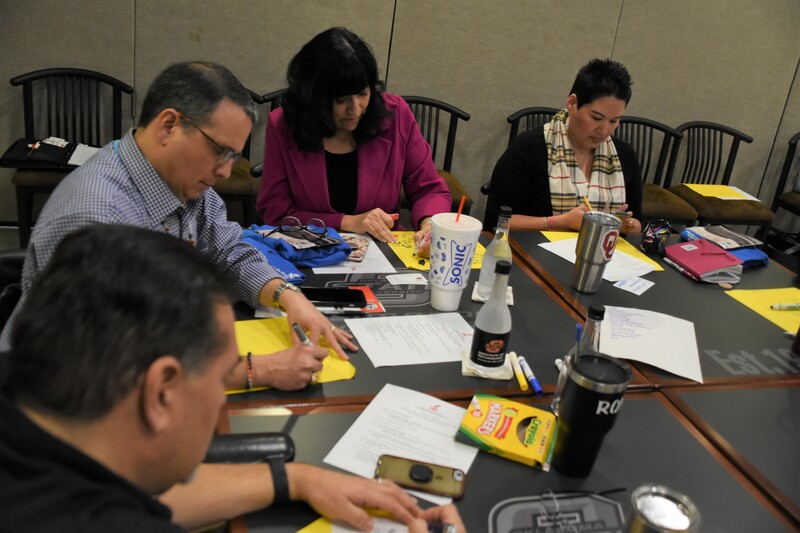 Stimulating the need for increased awareness and commitment to all areas of tribal involvement, native and non-native Oklahomans will work to shape Oklahoma’s future for all citizens. 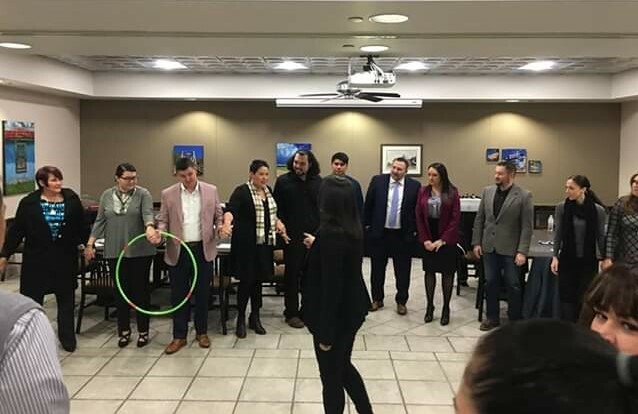 Leadership Native Oklahoma (LNO) is a statewide organization encompassing Native American Citizens from every region of the state ensuring a diverse group of leaders. 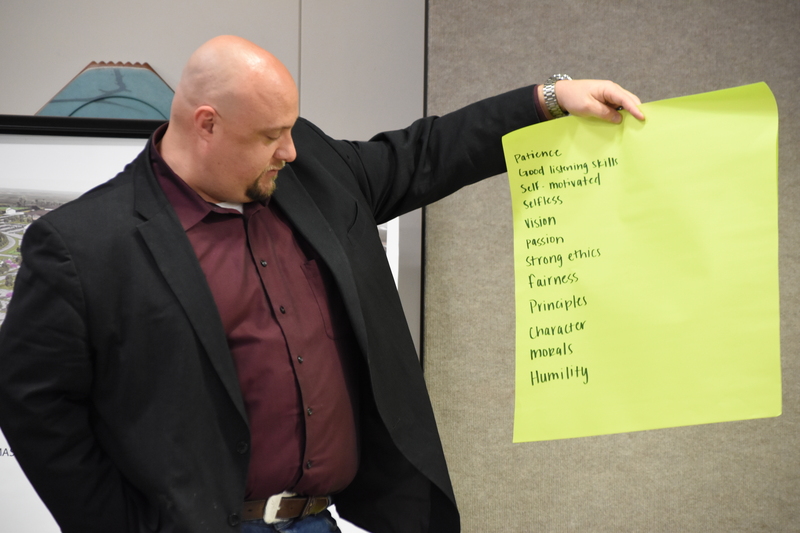 LNO is a unique opportunity to foster cohesiveness from a group of tribal leaders and future tribal leaders from different backgrounds. The hours spent together will create a bond like no other organization across the state. 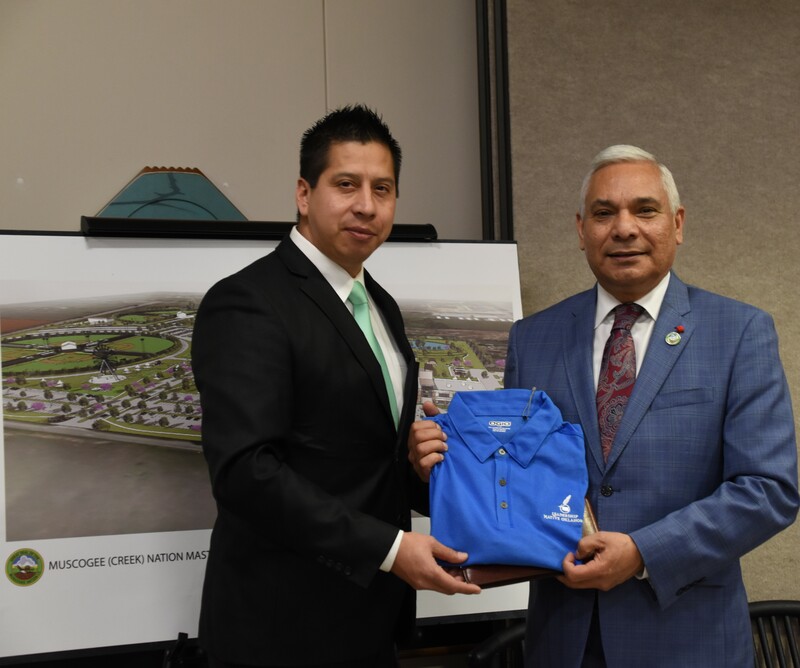 Based on respect and interaction, to identify, evaluate and implement projects that are of value to Native American businesses in Oklahoma. This organization is a program of the American Indian Chamber of Commerce of Oklahoma. The course will include seven monthly sessions. The graduation recognition ceremony will be held on Tuesday, October 8th, 2019, during the Gathering Business Summit at the Choctaw Casino Durant. Application process is closed for 2019. Applications will be reviewed and applicants will be notified. I’m so blessed and honored to be a part of these high caliber leaders of LNO 2018! LNO was a great experience where lifelong friendships and partnerships were formed. 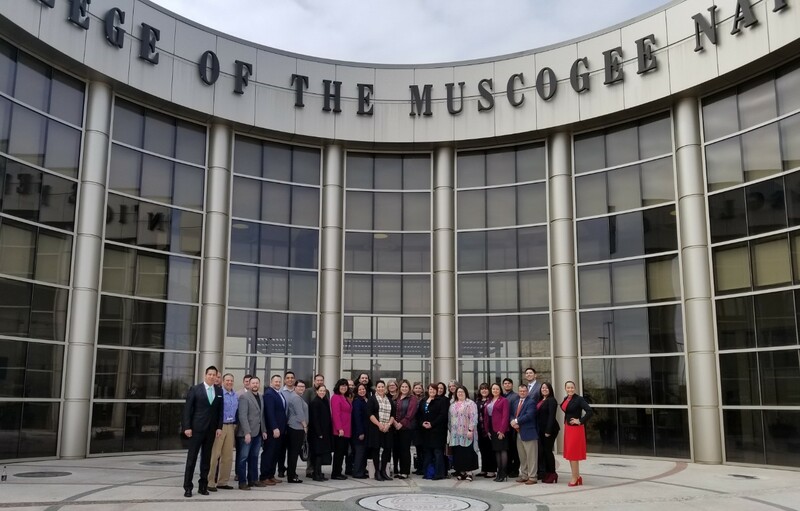 We had the opportunity to learn more about how our tribes function, in-depth information and real issues within Indian Country and how those issues are handled on a state level. Lots of meaningful conversations, team building and solution-driven opportunities discussed and how we can utilize our platform to have a larger impact on our people. We engaged conversations with chiefs, governors and city officials. We celebrated each other’s successes and milestones I’ve enjoyed this past year with you all! David Bible, District Manager Metrie, Inc.
Derek Fine, Insurance Agent Rich & Cartmill, Inc.
Kari Wagner, President/CEO Mid Star Lab, Inc.
Each 2017 Graduate received a stone plaque created by Makrete Cast Stone Products during The Gathering Business Summit at the Hard Rock Resort & Casino.